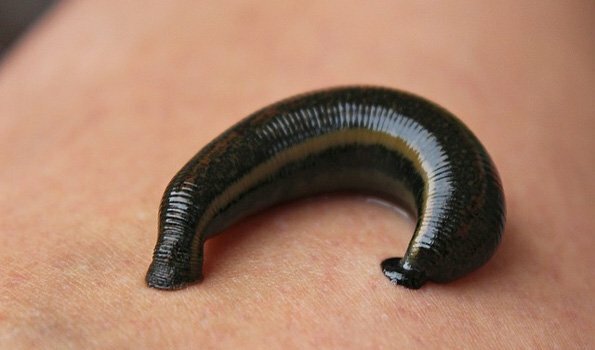 New Delhi: Blood-feeding leeches have a suite of anticoagulant compounds they secrete from their salivary glands that prevent clotting. The knowledge about their anticoagulants can possibly be explored further for uses in modern medicine, according to a recent study. In the study published in the current issue of the Journal of Parasitology, researchers collected leeches from natural and aquarium settings in the United States and Canada. They examined the physical characteristics of each leech to determine their species, dissected its salivary glands, extracted the RNA and sequenced the genomic material. Next, they identified the salivary gland components by comparing their sequences with those of other leeches and various animals. The researchers identified the collected leeches as nine species from the Piscicolidae and Ozobranchidae families, which are composed of saltwater species that feed on fish and turtles, respectively. Despite the fact that these leeches have different host preferences, no differences were found in the diversity of anticoagulants. They found that there was on an average 43 anticoagulants in each species and identified several anticoagulants that didn't match any sequences and others that had never before been linked to leeches. For example, they found sequences that matched ohanin, which is a protein found in king cobra venom. These results suggest that there is a possible connection between anticoagulants in leeches and snake venom and should be explored further, the researchers said. 'Our results highlight that looking at individual species is not a great proxy for family-level anticoagulant diversity and that studies need to take a broader look to fully understand what is going on,' said Michael Tessler, one of the authors of the article, adding that sampling many species and comparing sequences to a broad array of organisms could help uncover new information.